Dry Mouth – or Xerostomia, is commonly caused by dehydration. This is why Xerostomia often occurs during pregnancy or breastfeeding due to dehydration and hormonal changes. Dry Skin – there are internal and external factors that causes dry skin. And one of the internal cause is lack of water consumption. The skin is the largest organ of our body and it just makes sense that it would be much affected when dehydration kicks in. Thirst and Urge to Drink More – if you are drinking enough water, you wouldn’t feel deprived and overly thirsty, right? Dry Eyes – the body’s initial response to dehydration or lack of water would be to stop liquid output. The eyes will stop producing tears, even the tears that just moisten up the eyes. This causes eye redness, itch and irritation. Joint Pain – Our cartilage contains considerable amounts of water. The water acts like a lubricant, allowing the two surfaces to slide over each other as the joints move. If you are not getting enough water, you will experience pain. Decreased Muscle Mass – Less water means less muscle mass, mainly because muscles are comprised of water. Frequent Sickness – Drinking water enables the body to flush out toxins through urination. Less water intake, less urine output. Hence, frequent and prolonged sickness. 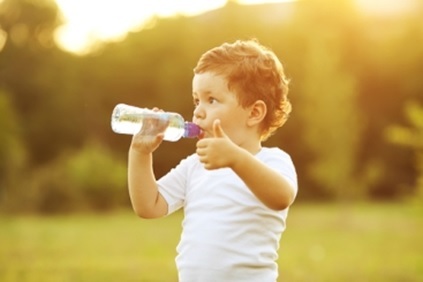 Lethargy and Tiredness – your body needs water to work well and keep cool. If you’re thirsty, you’re already dehydrated. Heartburn and Indigestion – If you are not drinking enough water, the amount and strength of mucus in the stomach lessens, or if you often drink caffeinated drinks and alcohol, there will be an increase of acid in your stomach. Decreased Urination – Urine colour may indicate dehydration. If urine is concentrated and deeply yellow or amber, you may be dehydrated. Premature Aging – as we get older, we should consciously increase our water intake. As we age, the amount of water our body retains decreases. It is very important for our overall wellness to keep hydrated. The best way to keep hydrated is to have a water cooler at work. Skip the bottled water – it’s expensive, no better than tap water, and the plastic is not good for the environment. Also, it’s important to drink just water. Avoid coffee – it’s a diuretic. Sodas and fruit drinks are filled with sugar, which is not healthy.